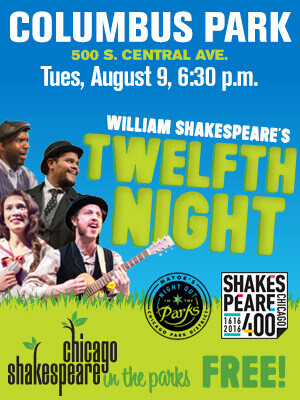 The Chicago Shakespeare Theater will be performing “Twelfth Night” 25 times at 19 different parks throughout the city this summer, according to DNAInfo. Austin’s performance runs tonight from 6:30 to 8 p.m. in Columbus Park, 500 S. Central Ave. 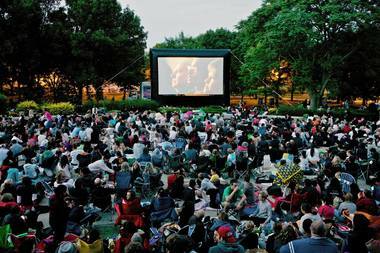 This is the fifth year performances of Shakespeare plays have taken place in neighborhood parks. The free performances began last month and end Aug. 14th. In this 75-minute romantic comedy about mistaken identity and unlikely love, audiences of all ages will experience the hilarity of some of Shakespeare’s most poignant and playful characters. If you can’t make tonight’s performance, there are others this last week elsewhere in Chicago, according to DNAInfo. The theater group Collaboraction performed its "Crime Scene: Breathe Life" play recently at Austin Town Hall. The event, free and open to the public, will be held from 3 to 8 p.m. July 28 at Austin Town Hall, 5610 W. Lake St. The event is hosted by the Poetry Foundation, Crescendo Literary, Austin Town Hall and the Chicago Park District.